The Body Shop recently sent me their Voyage ‘Scents of the World’collection to review. 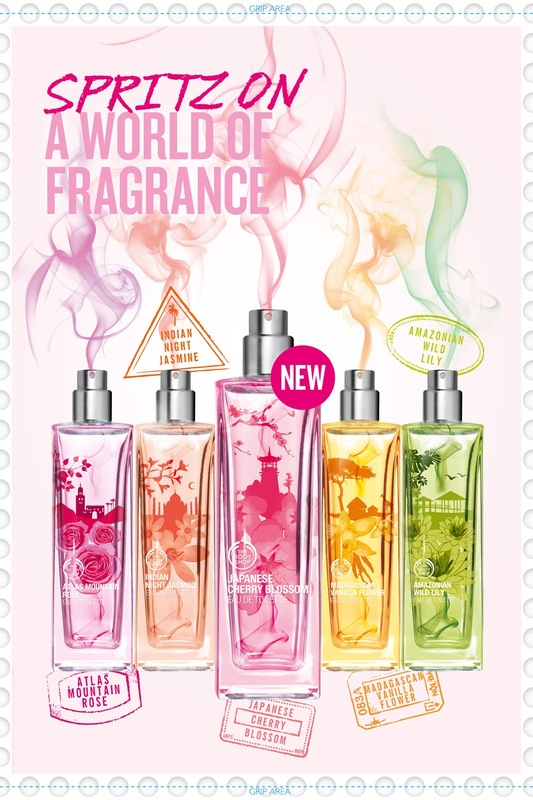 The exotic scents take you on a fragrant journey from east to west, and I’m sure there is something to suit every taste. I love floral fragrances and most of the EDT were quite floral, so I’m very pleased with the collection as a whole. Sit back, relax and enjoy the journey as you discover the inspiration behind each of the scents below and what I thought of each one. Our fragrant voyage starts in the Far Eastern gardens of Kyoto. Picture yourself strolling underneath with the delicate yet elegant Japanese Cherry Blossom trees as the soft petals gently fall around you, infusing the air in a fresh scent with light floral notes on a fruity musk and sandalwood base. This light fragrance is perfect for daywear and can be easily mixed with other scents. It is a very pretty feminine scent, perfect for a gift as I think its the sort of soft fragrance everyone will like. 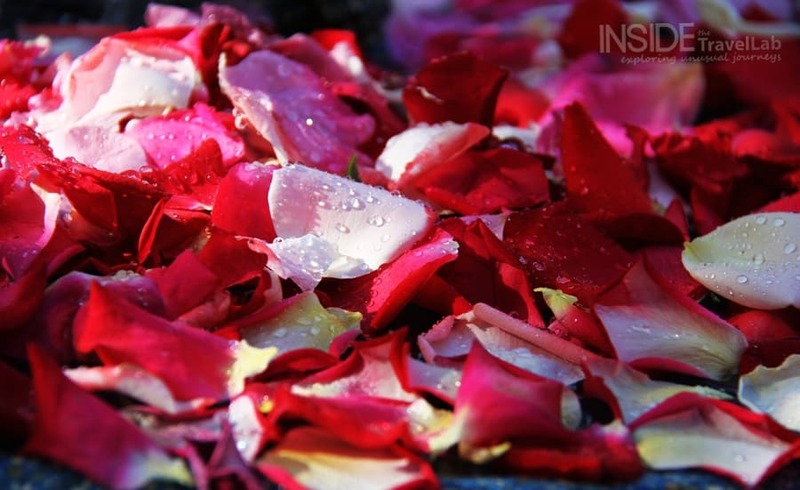 Imagine walking in a moon lit palace garden, the soothing patter of the fountains play in the background, as the mystical Indian Night Jasmine scent envelops you, the perfect fusion of floral and oriental notes. This is my favourite from the whole Voyage collection, very feminine and pretty long lasting. Escape to the tropical island of Madagascar, and feel the zest for life return to your body as you drink in the sun’s rays and breathe in the warm scent of vanilla flower- my mum really likes this one. Close your eyes and with a sniff of this EDT, you will be transported to the lush green jungles of the Amazon still wet from the rain, the aquatic scent of the wild lily is refreshing and cool, it reminds me of the smell of rain in spring. All the fragrances have a range of accompanying products such as shower gel, and body lotion which you can use to layer the fragrance for a longer lasting effect. Be sure to try out these gorgeous ‘Scents of the World’ next time you visit the The Body Shop and tell me which one is your favourite? Stay up-to-date with new product launches, offers and competitions by following The Body Shop on Facebook and Twitter.